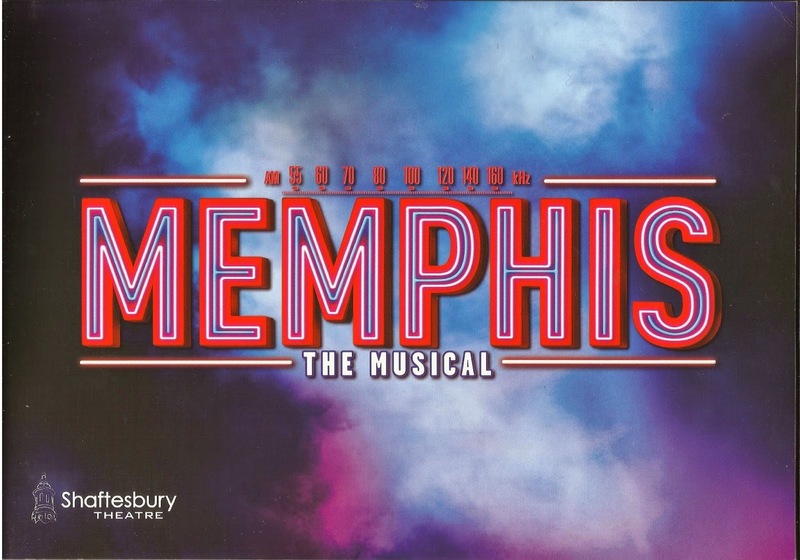 Since I first listened to the cast album I've been obsessed with the music of Memphis. In a show where the main storyline is revolves around the birth of rock and roll and the first white DJ to play rhythm and blues on the radio, you expect the music to be fantastic. And it is. The songs are entertaining, they wow, and while the lyrics aren’t necessarily the most complex ever conceived, some songs really do pack an emotional punch. But what is a musical, even with the most outstanding songs, if it doesn’t have a stellar cast to sing them? Fortunately, Memphis has found that stellar cast in the form of Killian Donnelly, a popular rising star on the West End, and Beverley Knight, a respected and super talented pop singer who made her West End debut in the original London cast of The Bodyguard. Since I last saw the show while it was in previews in October, it’s been nominated for 10 Whatsonstage awards and wowed critics and audiences alike and the cast has gone from strength to strength. Beverley Knight is simply unbelievable as nightclub singer Felicia Farrell, while Killian Donnelly has found the perfect balance of crazy man-child and naïve innocent that makes his Huey Calhoun simply brilliant. At the performance I saw, several roles were played by understudies. Simon Ray-Harvey showcased an incredibly powerful voice as Felicia’s controlling but well-meaning brother Delray. Though his performance was more understated than that of Rolan Bell, he commanded the stage like nothing else and in Delray’s standout number ‘She’s My Sister’, Ray-Harvey showcased his brilliant singing voice. Likewise, I was hugely impressed with Charlotte Gorton, understudying Claire Machin as Huey’s exasperated mother Gladys. Gorton was a lovely actress whose performance balanced the comedic and more serious elements of the role perfectly. I was very impressed. As usual, Knight and Donnelly were stunning as the leads. Their vocal performances were incredible and I cannot wait for the London cast album to be released on the 2nd February so that I can listen to them sing their roles again and again (expect a review of that album asap, because I’ve preordered it, of course!) However, I am curious to hear the roles of Felicia and Huey played by the alternates, Rachel John and Jon Robyns, who have both received high praise from audience members. But one of the most memorable performances of the show comes from Tyrone Huntley playing Gator, the bartender at Delray’s club. Although he stays silent for the majority of act one, when he does sing, it completely silences the room. He’s spine-tinglingly good! It seems Memphis the musical has been blessed with a cast of complete stars, and with one of the most talented ensembles on the West End performing astonishing dance routines like you’ve never seen, no matter whom you see, you’re guaranteed an incredible show! The band, which perform on the stage rather than in the orchestra pit, further emphasising the importance of music in the show, also deserve a mention. They are the life and soul of the show and sounded flawless on the evening I saw the show. If you’re looking for a night of feel-good entertainment then get to the Shaftsbury Theatre as soon as possible. Just don’t be surprised if you’re up on your feet, dancing and singing along by the end!